University of Iowa School of Music concert recordings are archived by the Rita Benton Music Library. The Library maintains a streaming audio digital collection of current performance recordings that is available to current University of Iowa faculty, students, and staff. Patrons must have a valid HawkID and password to stream recordings. You may have heard about this concert from just about everyone who attended. 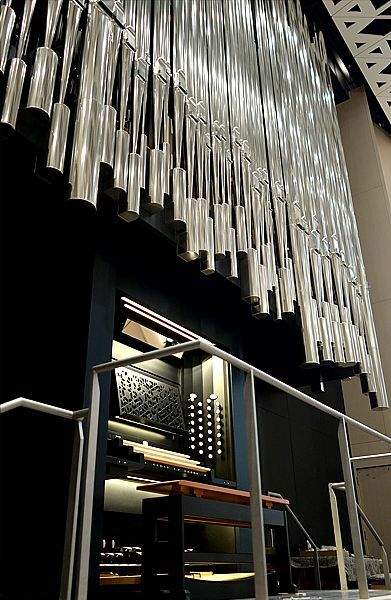 Olivier Latry, organist at the Cathedral of Notre-Dame and professor at the Paris Conservatory, delivers a masterful performance on the Concert Hall’s Klais organ. Of particular note is the 20+ minute improvisation on the Dies Irae and “In Heaven There Is No Beer.” Really, this actually happened and it was amazing. Enjoy a mixture of old and new works from Portugal, including Os Contos do Oboé, op. 73 by Ricardo Matosinhos and composed for Iowa’s oboe professor Courtney Miller, in this faculty recital featuring professors Conklin, Arnone, Wolfe, and Rutledge. This concert consists of 26 songs featuring the name of a woman, one for each letter of the alphabet. Broken into two long tracks (13 apiece), enjoy this recital that features many genres, styles, and languages, delivered magnificently by Iowa’s own superb interpreter of song literature, Stephen Swanson. Be sure to read the program notes by Marilyn Swanson for some background on how this curious program came to be and a detailed bibliography of all the songs.